Let me say right off the bat that In the Seventh Day is most definitely NOT for the faint of heart. Ms. Easton has created a character that is terrifying. Springboarding off of a popular ultraconservative concept called "umbrella authority," she takes that idea and has it run amok in this little community. Kevin Hillar takes this idea of authority to an extreme and uses it in ways that are shocking and frightening (not to mention nauseating). The way he manipulates people is creepy. He certainly does have a "gift." The scenes are graphic. The crimes are almost done without any thought, making Kevin Hillar one of the most terrifying villains I've ever seen, especially when coupled with a religious concept that I already didn't agree with. Let me re-emphasize...don't read this book if you're squeamish. There are scenes that will turn your stomach. If you can handle it, grab it. 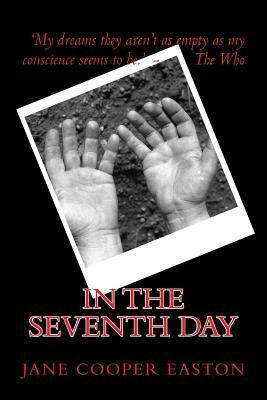 Sign into Goodreads to see if any of your friends have read In the Seventh Day.